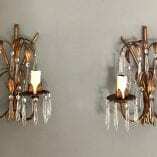 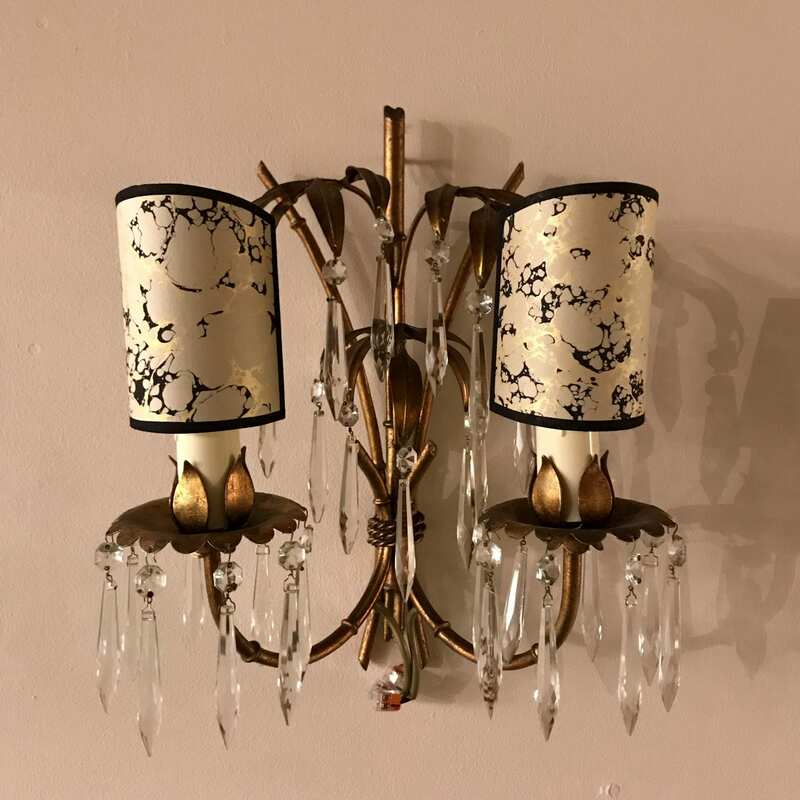 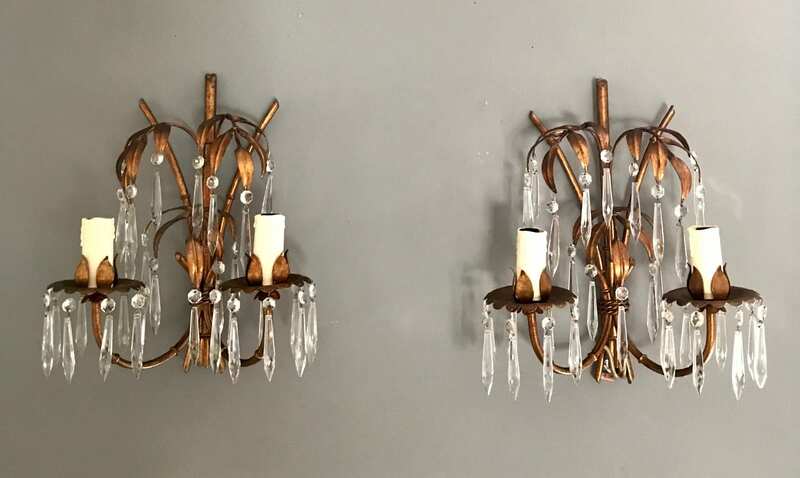 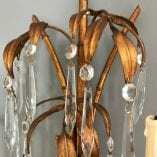 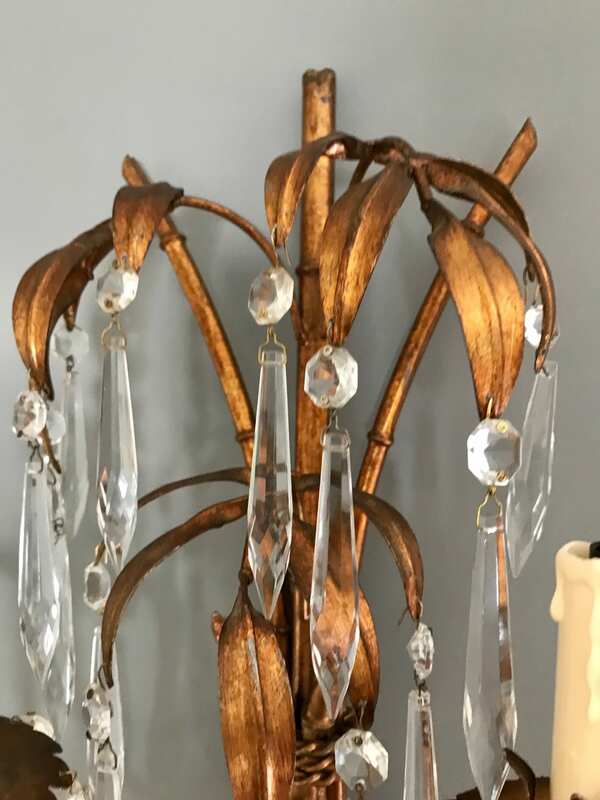 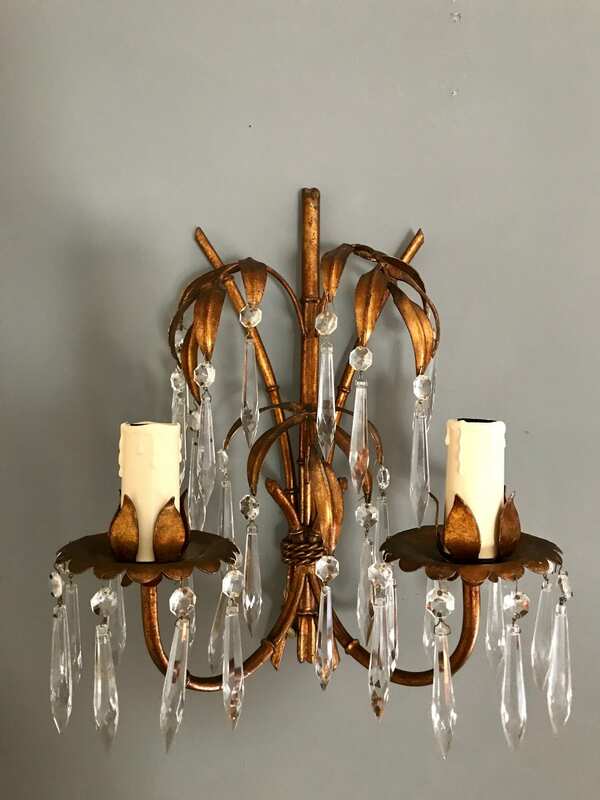 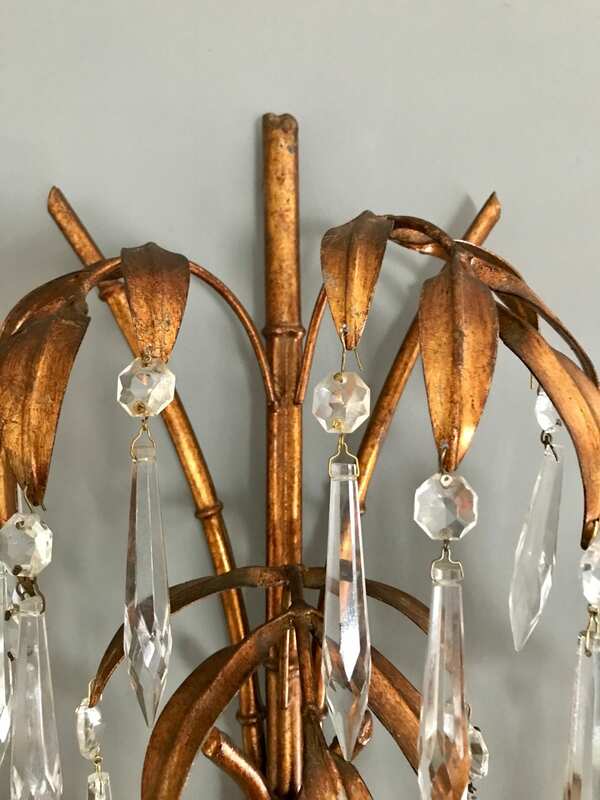 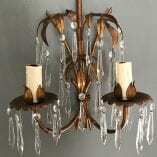 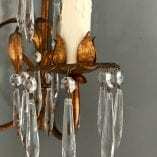 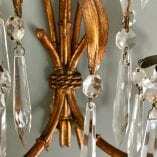 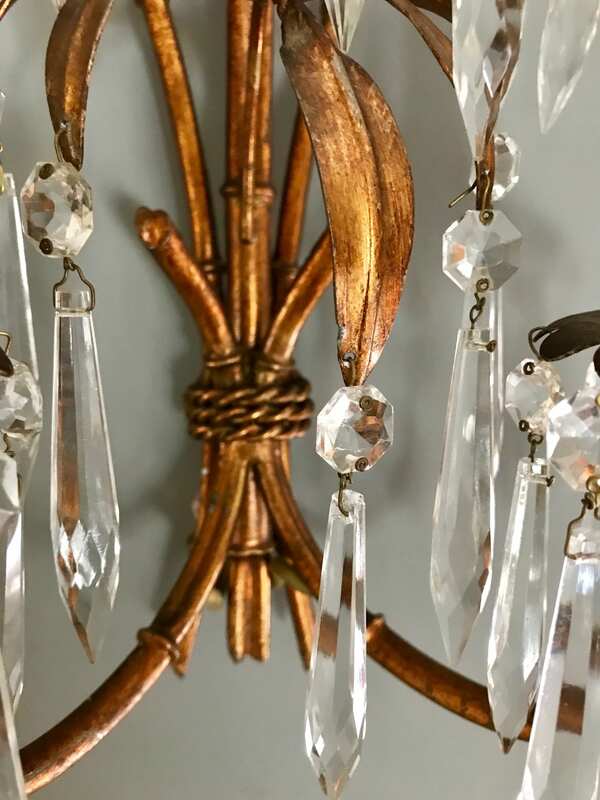 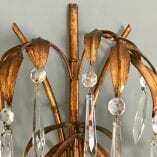 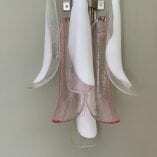 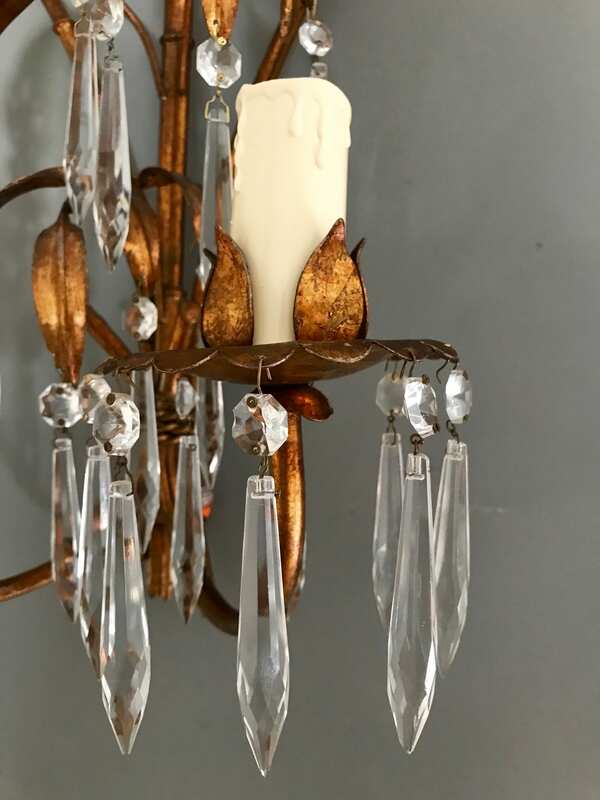 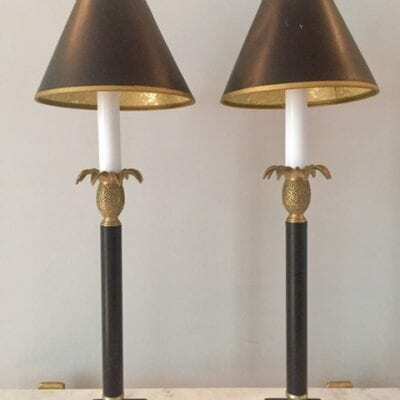 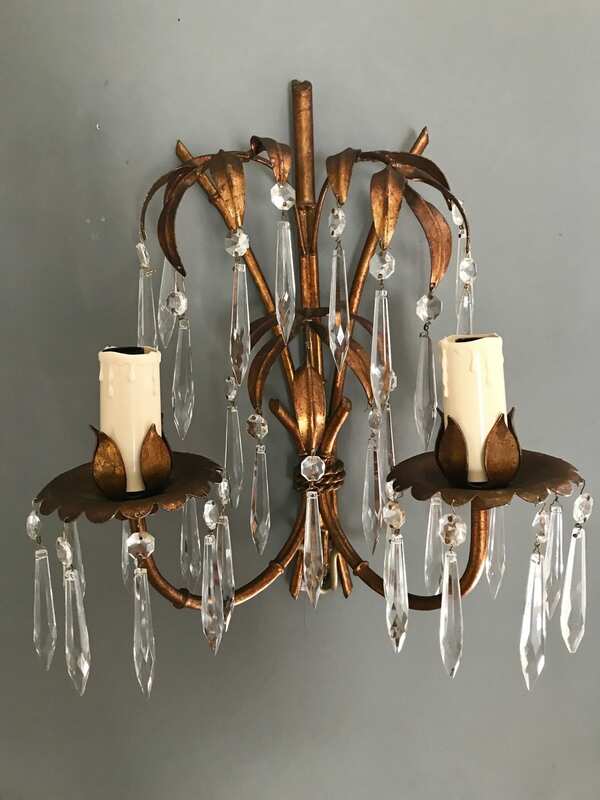 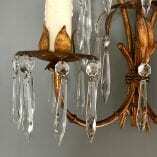 A really fabulous pair of rare, Italian Mid Century, Hollywood Regency gold and crystal two-armed wall lights with bamboo detailing – seen her with hand-made hand-marbled shades. 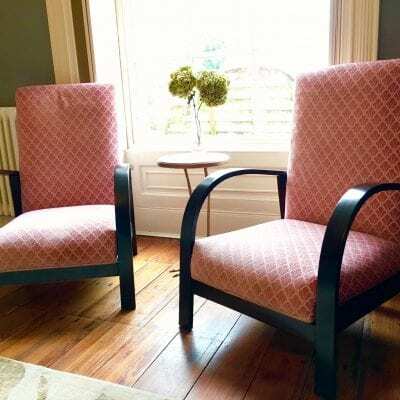 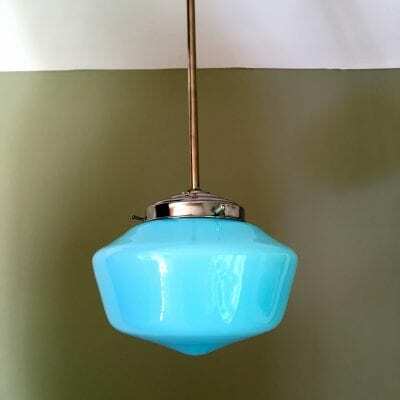 In perfect vintage condition – re-wired and PAT tested. 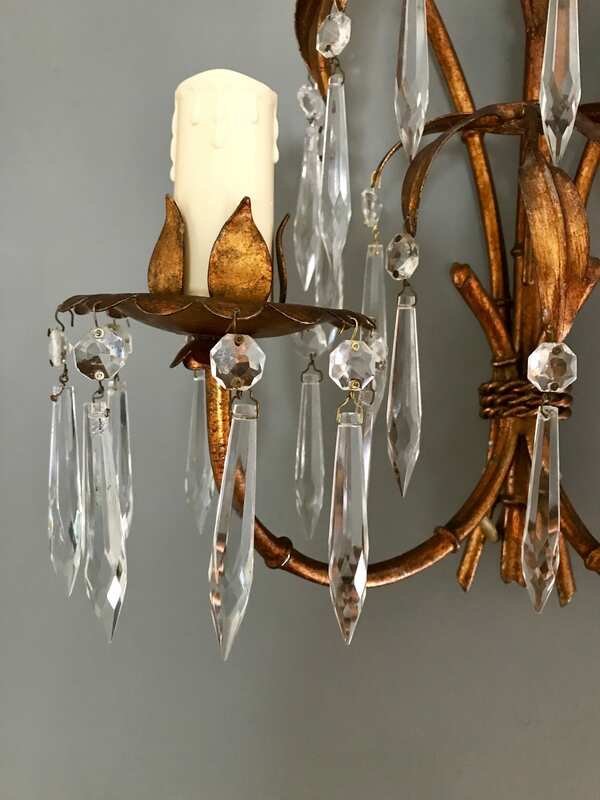 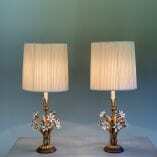 Sourced from an old US estate. 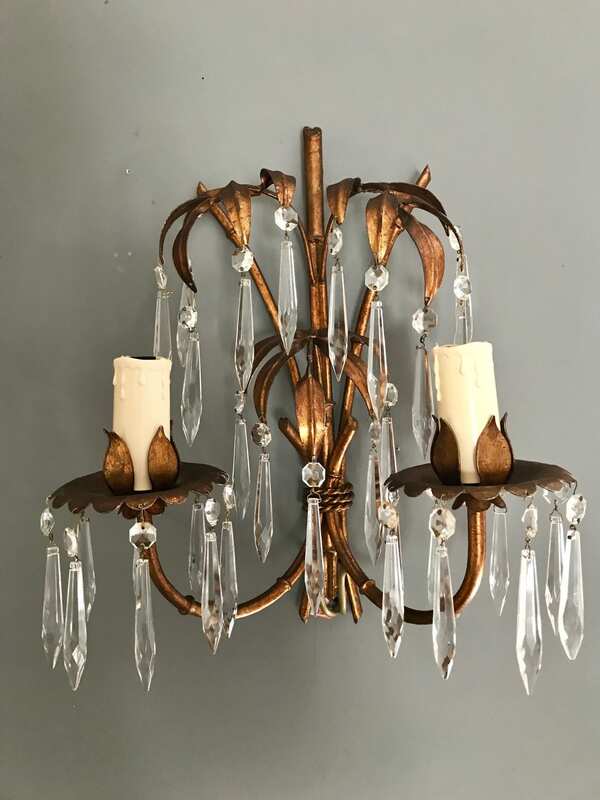 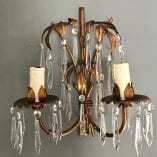 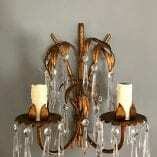 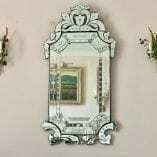 A very glamorous addition to any interior.